Exciting news for all those Australian Girl doll fans, my American Girl doll clothes patterns will fit your Australian Girl doll beautifully too! 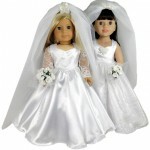 The main differences between the two dolls are that the Australian Girl doll has a slightly longer torso and legs, the arms are definitely longer and her feet are bigger. These differences don’t affect the fitting of my doll clothes patterns that I have available at this stage as they do not have long sleeves and all have a little room for body variances due to the fact the American Girl body is fabric and may be stitched and stuffed differently. Have you ever bought doll clothes patterns and given up making them half way through because you just can’t understand the instructions? Well, that will never happen with one of my patterns. Because with every pattern you purchase from Rosie’s Doll Clothes Patterns, you not only receive the PDF pattern pieces and instructions that you download and print, you also get access to …………..
What Age to Begin Sewing? Cabbage Patch Kids Doll Clothes Patterns Are Here! Some exciting news for Cabbage Patch Kids fans. This week I have launched the first of my Cabbage Patch Kids Doll Clothes Patterns. These patterns fit the 18 1/2 (47cm) Cabbagte Patch dolls. For more information on the size see my Doll Sizing page. Wow, what a wonderful response to my first blog. 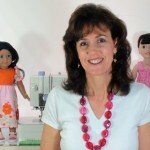 I have received emails from lots of moms who have been thinking about making doll clothes for their children but were not sure where to start. 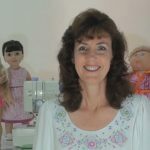 It’s great to hear that they are now eagerly progressing through my How to Make Doll Clothes Video Course, learning all my secrets and gaining confidence to finally sew doll clothes for their children. Many people have asked “Why spread your course over 6 weeks”? 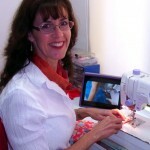 Well, it has over 120 comprehensive videos covering everything from how to set up your sewing room to attaching frills and collars so I don’t want to overwhelm you. The best part about my course is you can replay the video, place it on pause while you answer the phone, or skip over things you already know ….. you get to work at your own pace in the comfort of your own home. 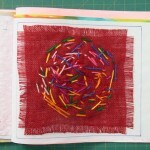 Hi everyone and welcome to my first blog entry. I’m Rosanne, but all my friends call me Rosie and I’m a stay-at-home Mom who has always loved craft and especially sewing. I started sewing doll clothes around 8 years of age and was so proud of my creations that I kept them hoping that when I had a daughter, she would play with them. Of course her dolls were a totally different size and shape to mine so none of them fitted and I had to make new doll clothes for her. Finding doll clothes patterns that would fit her dolls was not easy and I had to make lots of changes to patterns I bought so I drafted my own …..